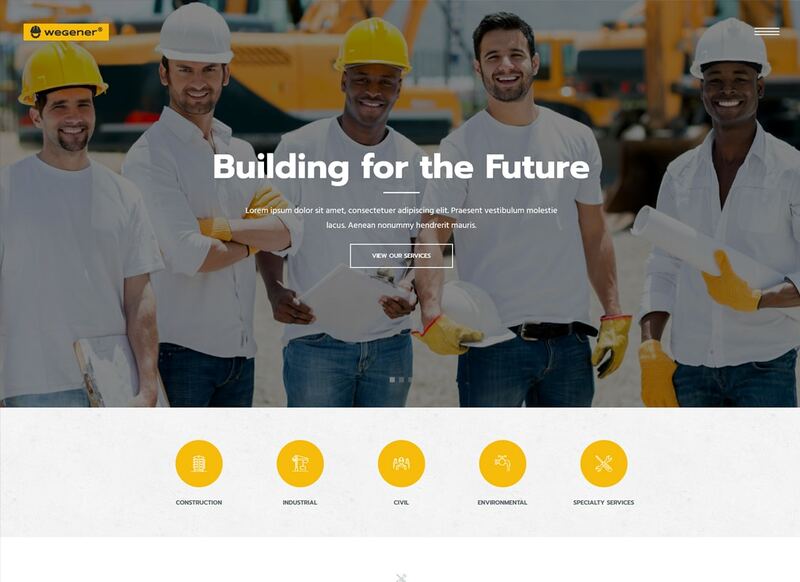 There’s no shortage of ways to promote your construction business online and building a website can be the cream of the crop. In fact, the right WordPress theme can help turn an unknown business enterprise into a profitable one. Of course, there are tons of beautiful solutions out there and many of them can make a huge difference in your success. The trick is yet, to find the one that fits well into your particular business requirements. 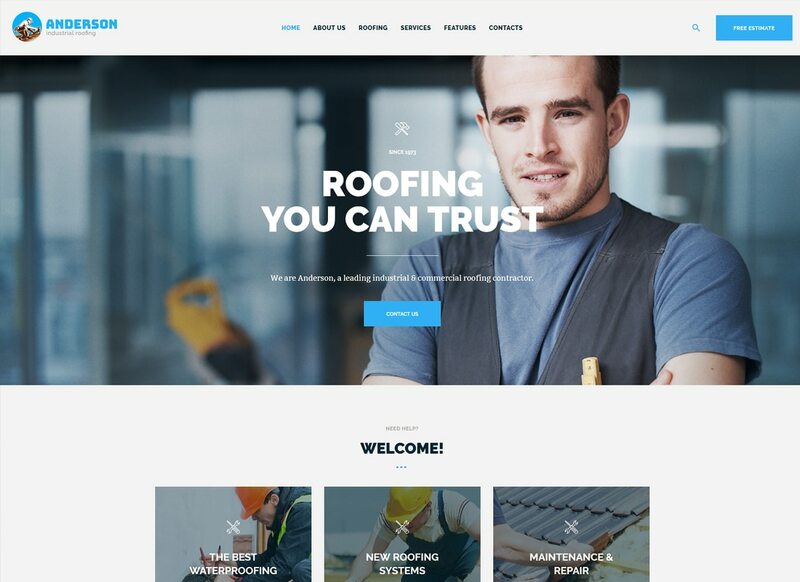 To save you trouble and costly mistakes, get inspired by the list of 30 the best house renovation and construction WordPress themes for your next web project. Even if your construction, cleaning or remodeling company is a new one, focus on the value it can provide for your users. Wish to stay viable and competitive in the eyes of your customers? You build great things, show them off. Give your users a reason why you do what you do, instead, just telling what you do. Functionality is the key that opens the door of your business and presents it in a clever way. 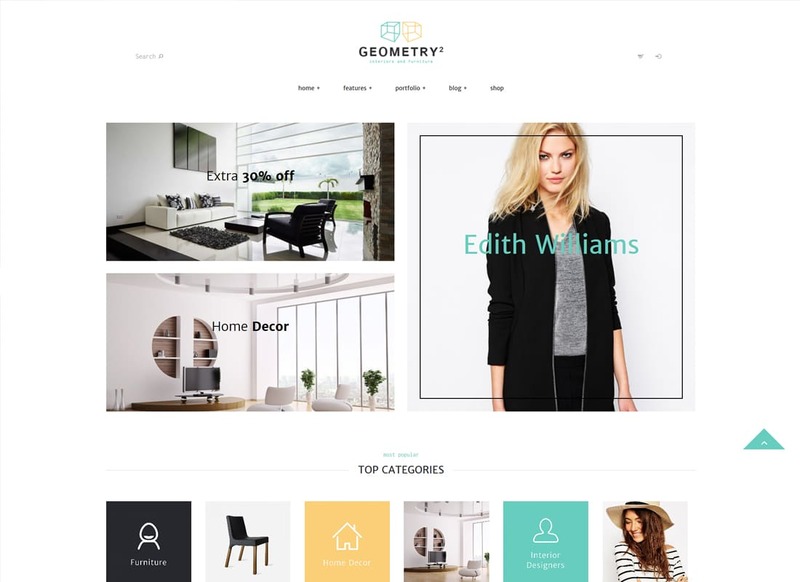 To make a great-looking website that works, lots of beautiful WordPress themes can strike your inspiration and start your business on the right foot. Yet, in order to generate a stable increase in leads and projects won, the purpose of your website should be crystal clear. 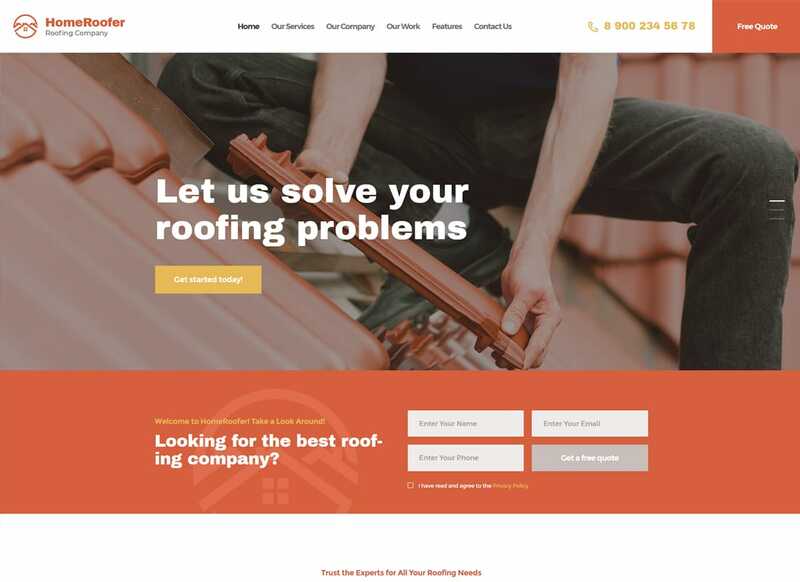 Scroll through the best house renovation and construction WordPress themes below to find the one that fits best into your business. Keep in mind, these are only the best house renovation and construction WordPress themes worth exploring. If it still seems like building a modern website takes a village, give WordPress a try. Of course, sometimes it’s not an easy ride, yet, with the right solution, things become not all that difficult. Despite all the noise, choose your niche to pick the right solution that fits well into your business. 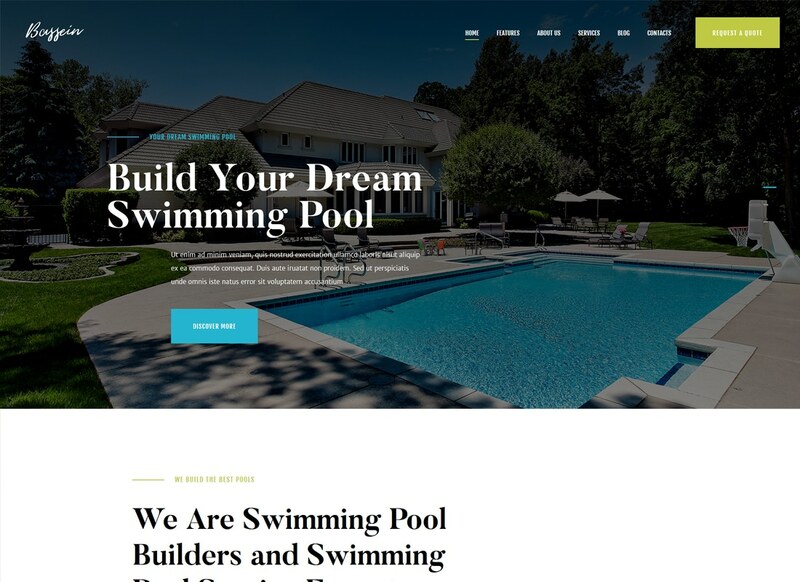 Now, aren’t these house renovation and construction WordPress themes not worth exploring? With Wegener, it's easy to introduce your business to the world and showcase what you’re capable of. Designed in a clean and minimalist style, Wegener is easy to navigate, flexible and SEO-friendly. Moreover, it allows you to demonstrate that you have what it takes to meet all of your users' needs. Besides, a multitude of available options can make the site-building process a smooth track. The best thing is that you can easily launch your e-store without to hack into any coding. At last, tons of advanced Contact Forms, pre-designed pages and a truly responsive design assist you in reaching your full potential. Give proper details about your business in a clever way. 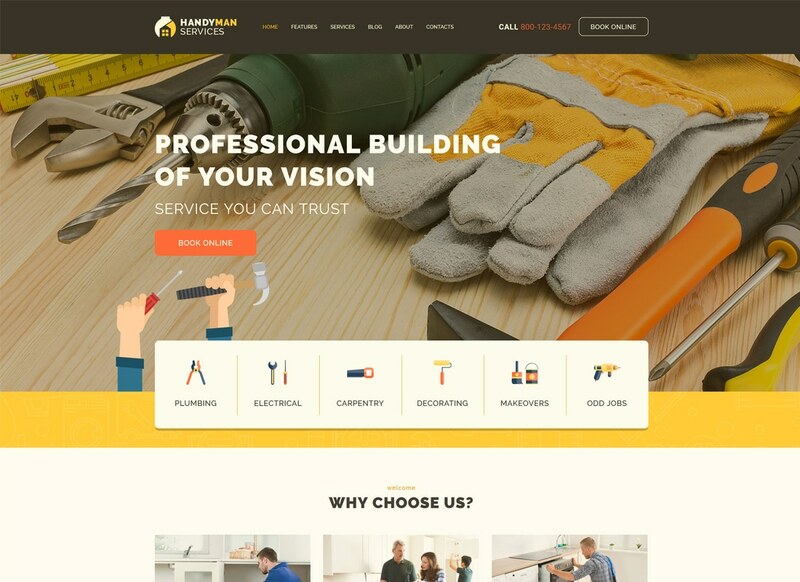 With Hampton, it’s easy to build a website that looks professional in no time. Its clean, stylish and modern design fits construction & remodeling businesses right off. Create extra page layouts to make sure your website looks unique and compelling. Indeed, it’s easy to showcase your projects, team and galleries with the help of Essential Grid and Slider Revolution Slider plugins. Apart from that, Hampton is responsive, SEO-friendly and easy to navigate. So, whatever your goal, Hampton can match your firm’s personality straight off. Marketing your construction business online is vital to maintaining brand dominance and awareness in your niche. A.Studio can be an ideal solution on your way to success. 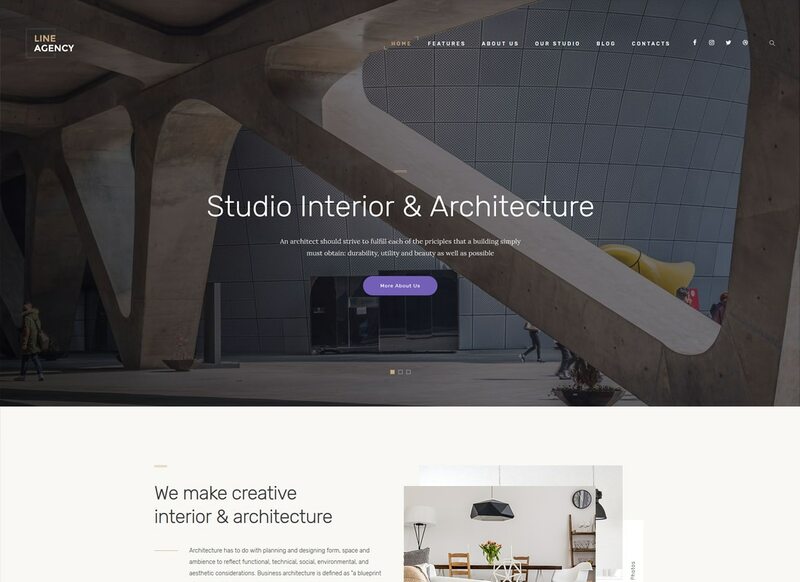 Sleek, modern, and responsive, this specimen of house renovation and construction WordPress themes has a lot you to offer. No matter what niche you are in, A.Studio can help you impress search engines as well as visitors of your site. Also, tons of eCommerce options can help you boost your income over time. Forget about coding issues and take complete control over your website even with a skill gap. So, how would you like to take A.Studio forward? Looking for ways to build a website and keep it on top of the search results? Then, you definitely need to give Line Agency a shot. Modern, stylish and responsive, it fits interior design and architecture firms right off the bat. Jam-packed with 3 beautiful homepage styles, it offers you an easy way to speed up your site-building process big times. Customize and manage your website with less coding issues. Sure, it's easy to create unique layouts, add stunning galleries and make sure that your website catches every user's eye. In fact, that's just icing on the cake, the more inside. Is there something that makes your business unique or special? Make sure to put it front and center your customers. Once you go for m2, you'll get the opportunity to stand out from the crowd. Trendy, fresh and responsive, m2 has an edge over other house renovation and construction WordPress themes out there. Thanks to a wide variety of eCommerce options, it's easy to turn your website into a profit-generating machine. So, take time to enjoy its pre-designed pages, experiment with custom shortcodes and unique settings to pull people into your website. Aren't these features worth exploring? Despite all the noise, your website must do the job of engaging and converting visitors into prospects and clients. 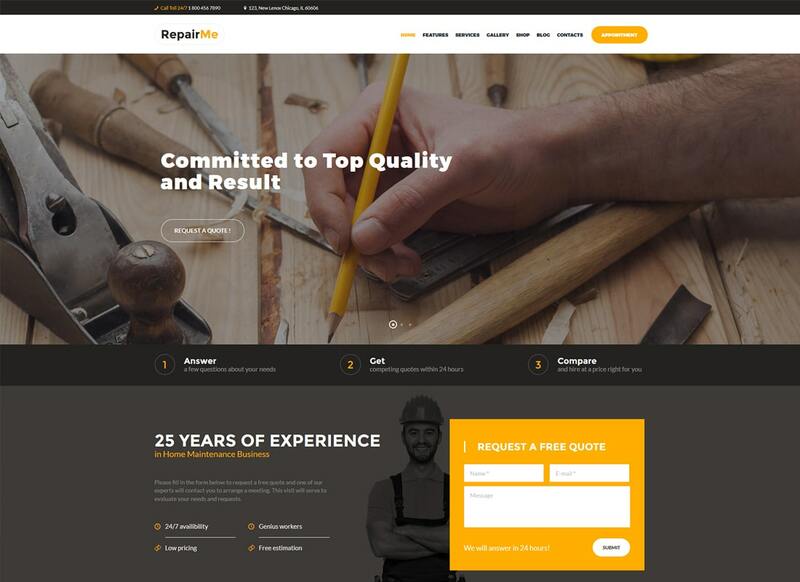 RepairMe is one of the best house renovation and construction WordPress themes designed to do that. 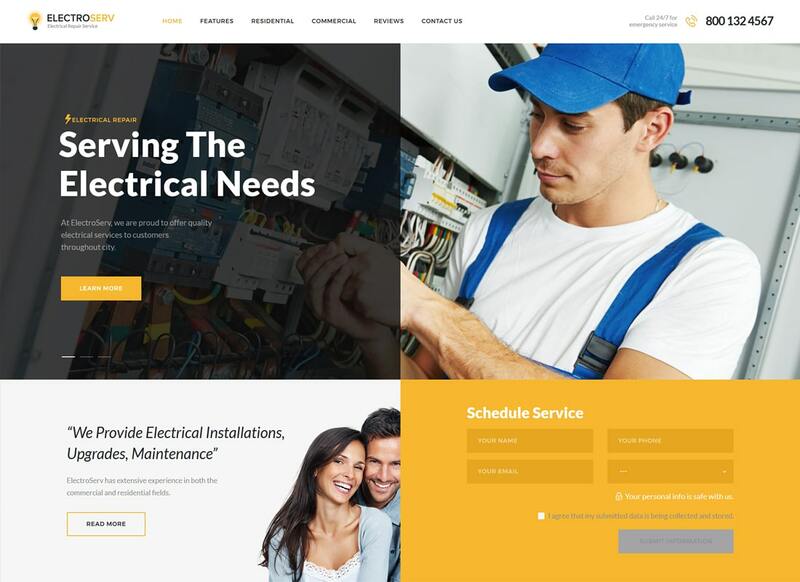 Bright, clean and modern, it fits any type of maintenance and repair websites. The best thing is that it comes with 4 beautiful homepage styles that speed up your site-building process from day one. Manage your appointments, add an online store functionality and much more with less coding issues. Go, open your business up to the world. 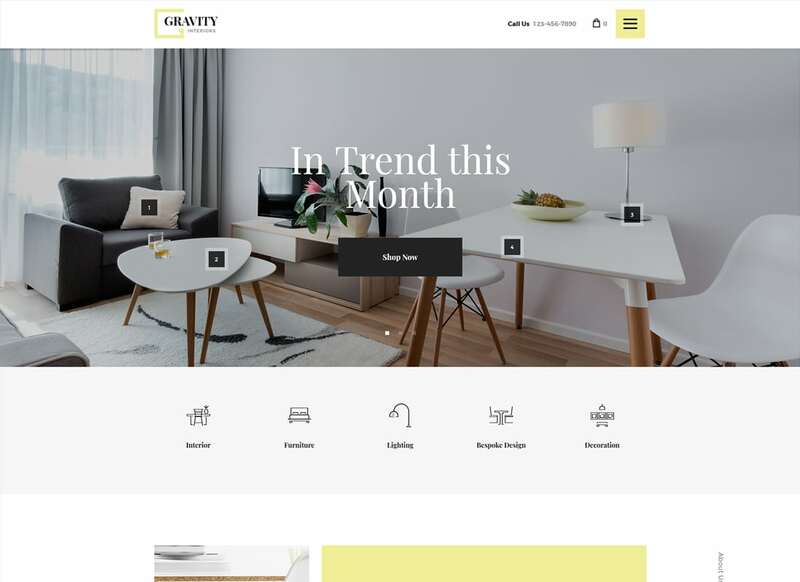 If you need to build a website that looks great out of the gate, give Gravity a try. Clean, responsive and stylish, it adjusts to any screen resolution of any device from fact. What's more, crafted with care, it fits interior design businesses right off. Easy to edit, manage and customize, Gravity can be a huge help for anyone with a skill gap. Indeed, compatibility with premium plugins can help you light up the fire under your web project from day one. Go get creative with Gravity to accomplish specific goals. At last, don't shy away from starting a blog to expand your thought leadership strategy in a clever way. Establish your business as an industry expert with Handyman. 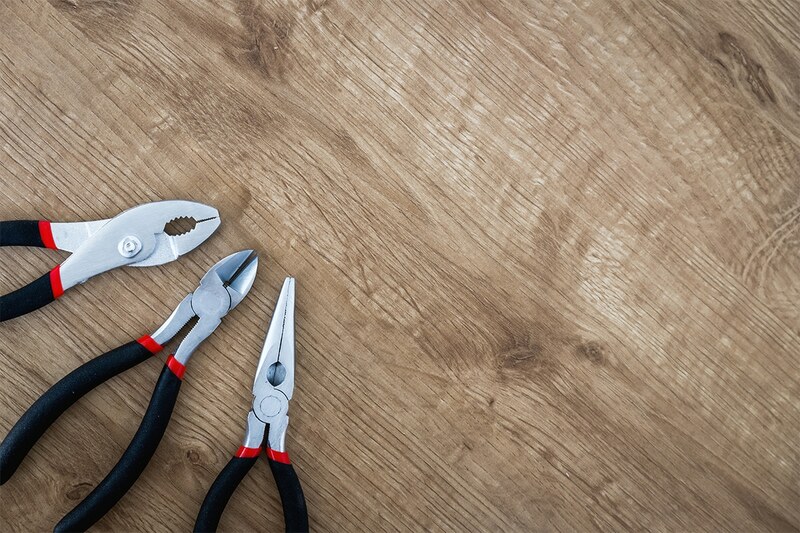 Responsive from the ground up, Handyman can help garnish the attention you need. Designed for maintenance and repair websites, it has everything you need at your fingertips. Lots of pre-designed pages can help streamline your site-building process big times. Also, give your website a bit of interactivity and custom functionality. Make sure your website is both fresh and relevant for online search attention. Want to generate profits? With WooCommerce integration that’s simple as that. At the end of the day, you’ll see that creating unique layouts is not all that difficult. So, how do you feel about Handyman? In a world where everyone wants to have only the best of the best, Geometry is the cream of the crop. It can help you establish your business as superior to your competitors even with a skill gap. Modern, responsive and alluring, Geometry comes with robust functionality and eye-catching design. Its clean and attractive layout fits all types of interior design & architecture websites. Streamline your site-building process with WPBakery page builder. Go tell all the bells & whistles of your business through your blog. Do everything in your power to make it stylish and unique. So, would you like to take advantage of Geometry? 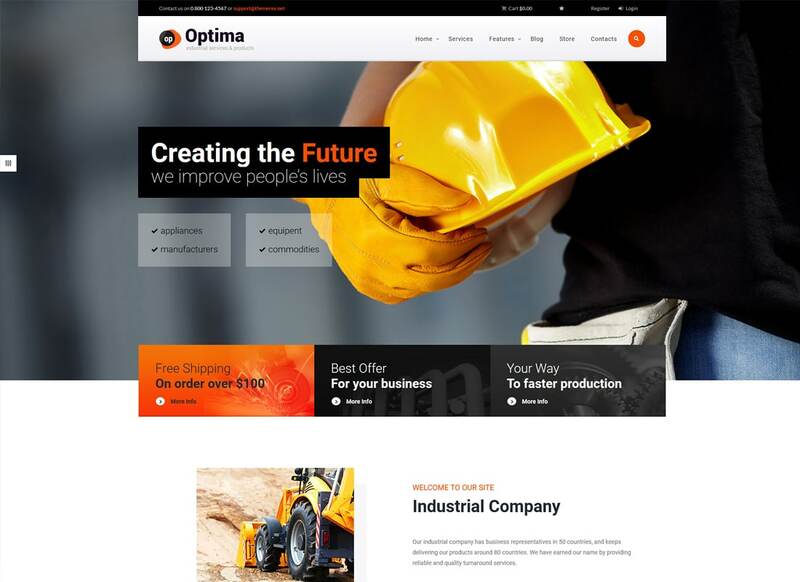 Market your construction business as one that maintains a high standard with Optima. Responsive from the ground up, this impressive WP template can help build a solid online presence for your business. The best thing is that no matter how skilled you are, Optima can take your industrial company to the next level. So, apart from a set of pre-made modules, it comes with eye-catching infographic elements, amazing charts, and graphs you're going to love. What's more, it's not only SEO-friendly but also WooCommerce ready and able to open your business up to a new market. To start with, explore more advanced features included in the package. 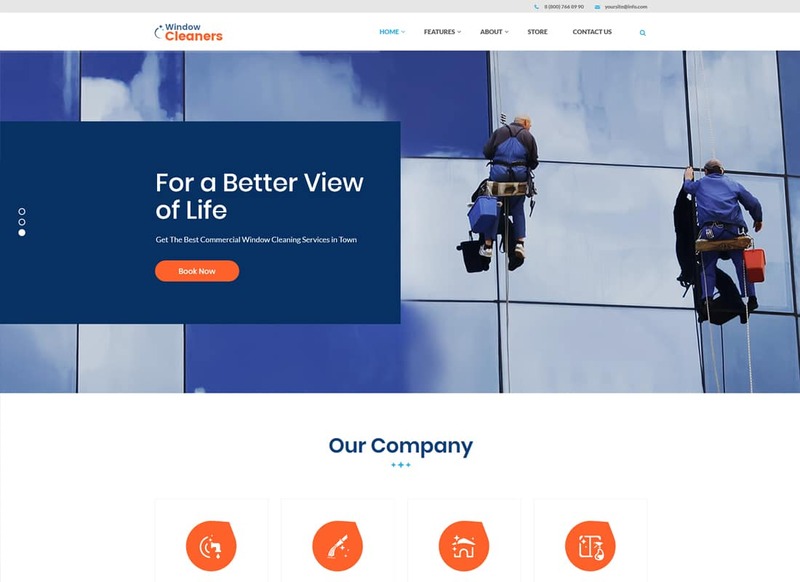 Designed for window cleaning businesses, AC Services is another WP template worth exploring. That's no wonder, it's one of the best house renovation and construction WordPress themes up to date. Attractive, clean and fresh, it looks consistent across all modern screen sizes. Besides, it works great with Essential Grid and Revolution Slider so it's easy to make an eye-catching pitch for your business. In case you need to give your website a bit of interactivity, tons of custom shortcodes can do the trick. Don't stop yourself from creating unique layouts on a go with less coding skills. That should be easy, right? Does your business have a hook to stand out? Make sure you provide value for your customers, not simply the noise. 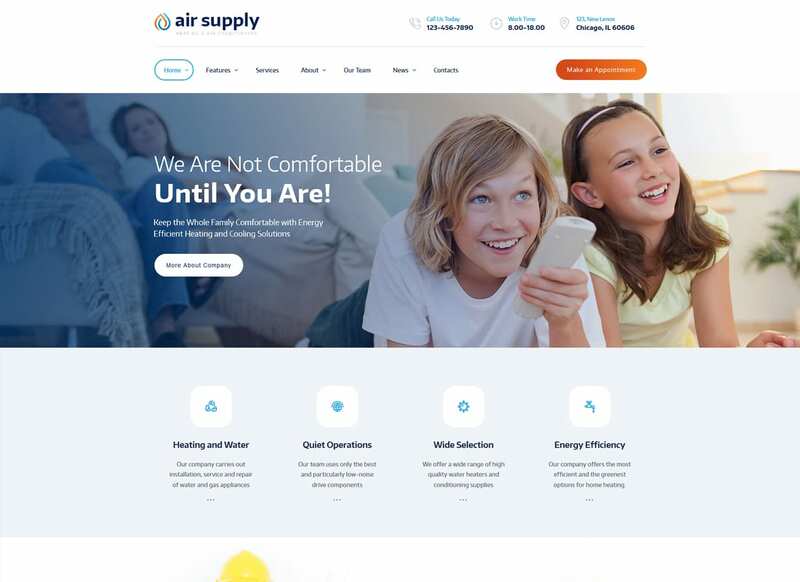 Go give AirSupply a try to promote your business in a clever way. Designed for air conditioning and heating services, Air Supply is a great way to express your business and tell a story behind it. Being multi-purpose by nature, it fits different home renovation and construction websites right off. In fact, more than ever, it's important to showcase your products and services to entice your users to choose your offerings over the others. What if, Air Supply can keep your website attractive to search engines? Wise Move a colorful and interesting solution ideal for companies that provide moving and transportation services. 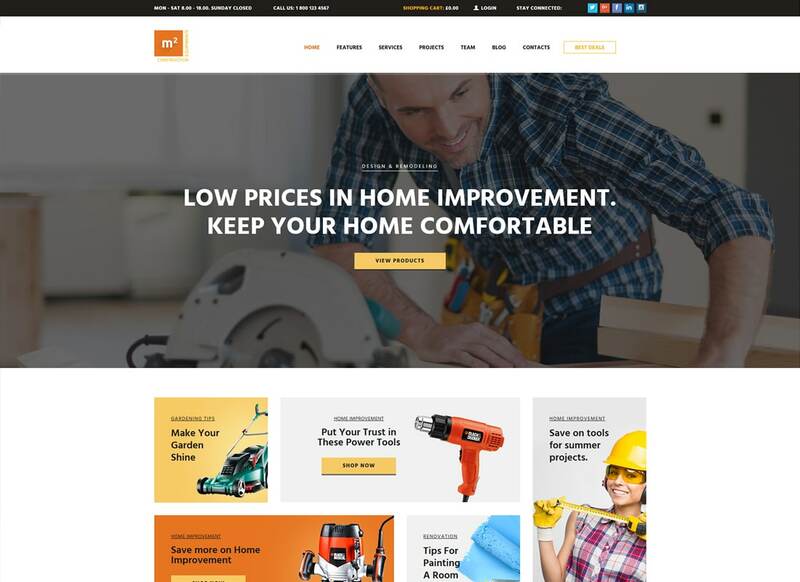 If you’re looking for the best house renovation and construction WordPress themes out there, Wise Move is the solution. Compatible with WordPress 5.0, it can help build doorway pages to your brand and promote your products & services. Well, responsive and Retina ready, Wise Move adjusts correctly to all modern screen sizes so your website is more likely to appear further up the search engine results. So, if you’re going to become a global player, keep going. Wise Move will come to your aid. Meet HomeRoofer. Fresh, modern and responsive, HomeRoofer is definitely worth the attention. It comes with an engaging and informative design that can be beneficial to your industrial business. 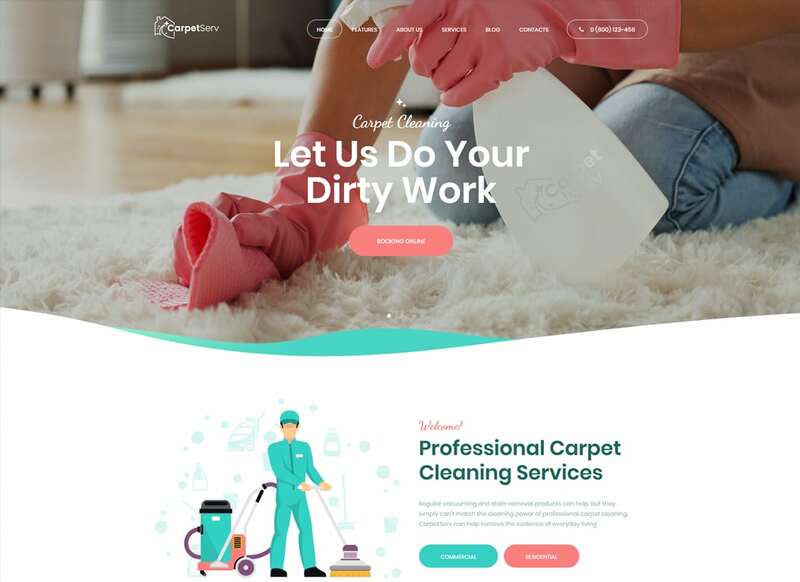 Thus, depending on your niche, you can choose between 2 beautiful homepage styles and make the changes you need without the headache of coding. What can you do to help your business make more money? Indeed, use WooCommerce integration to the full. Fear not to add a bit of interactivity to your site and give your users a reason to get to know your business longer. Go waste less time coding. Instead, build a profit-generating tool for your business in no time. GDPR and Gutenberg ready, Plumbing Store sticks out a mile. In fact, it's one of the best house renovation and construction WordPress themes you need to give a try. Designed in line with the latest website design standards, it comes with robust functionality and effective design. Besides, it comes with an online currency switcher to help your business spread across multiple countries. Apart from ready-made modules, it's easy to create unique layouts with WPBakery page builder on a fly. 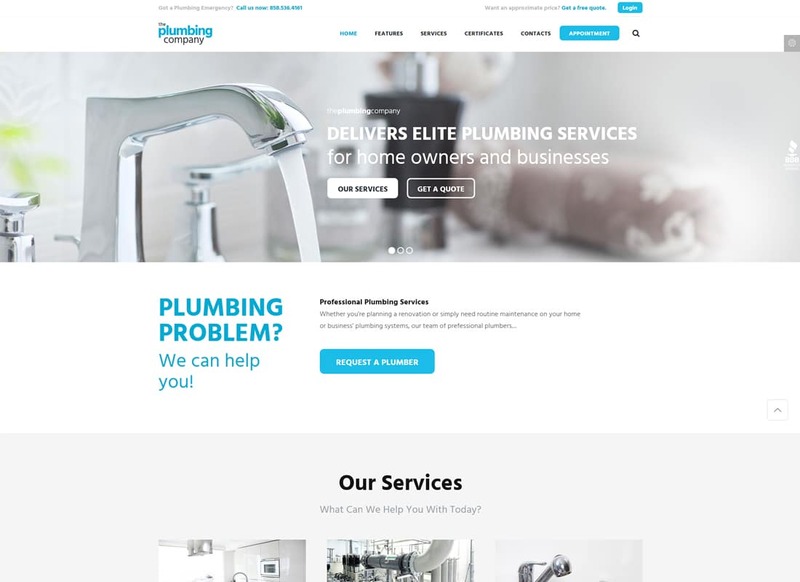 So, if you have a business in bloom, with Plumbing Store you'll have a website right for you. 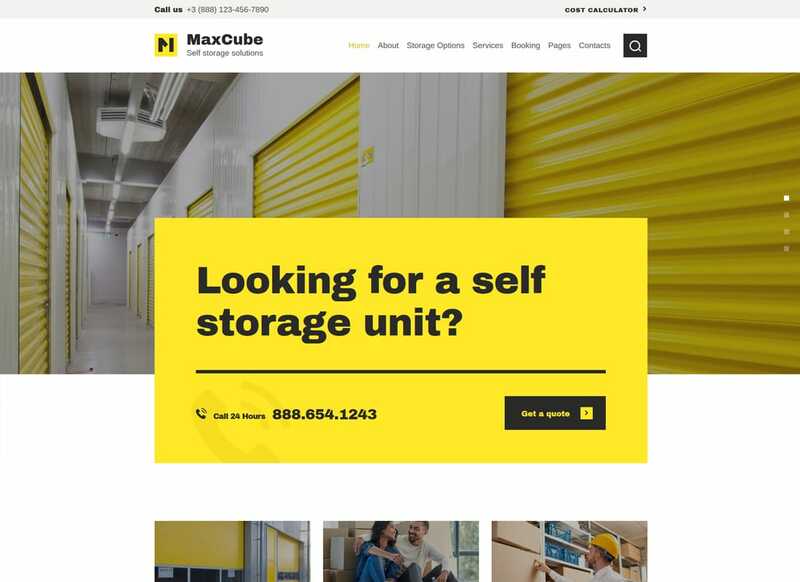 MaxCube is powerful WP template that can help you create an absolutely personalized website in no time. Modern, clean and attractive, it fits moving and storage businesses right off. Jam-packed with a set of pre-designed pages, it allows you to build a website of any other home renovation or construction type. So, it comes with advanced storage cost calculator to help your users know the price before the purchase. Responsive, Retina-ready, and cross-browser compatible, what else could you ask for? Go save your regrets for later. Get one of the best house renovation and construction WordPress themes for less. Attracting natural traffic from search engines is easy if your website meets the best SEO practices. With Plumbing, you can be sure your website is attractive to online search engines from the ground up. 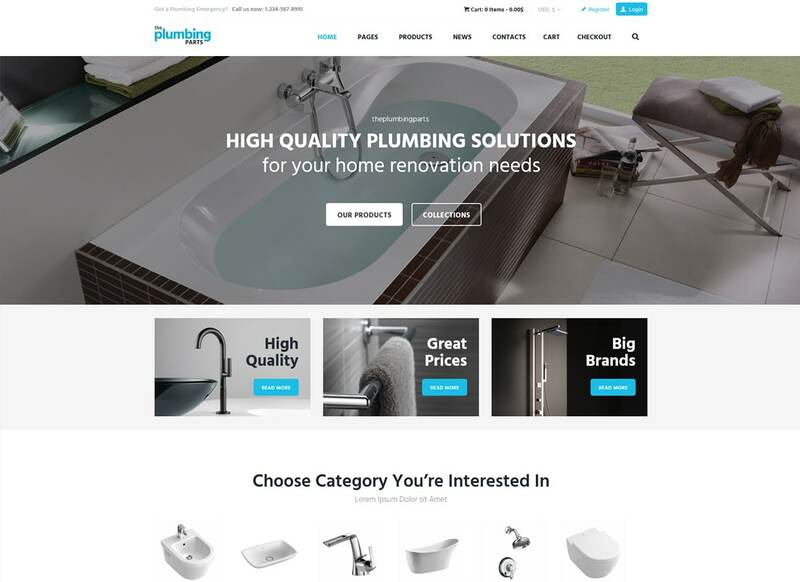 Designed in a clean and fresh style, Plumbing is second to none for repair and construction websites. What's more, it comes with online booking functionality, pricing tables, different contact & quote forms, and the like. Go start your own online store selling tools or equipment without having to sweat for it. Turn the spotlight to your business with Plumbing right away. Get completely tuned up with Chrimson. Responsive, clean and WordPress 5.0 compatible, it has an edge over the other solutions out there. 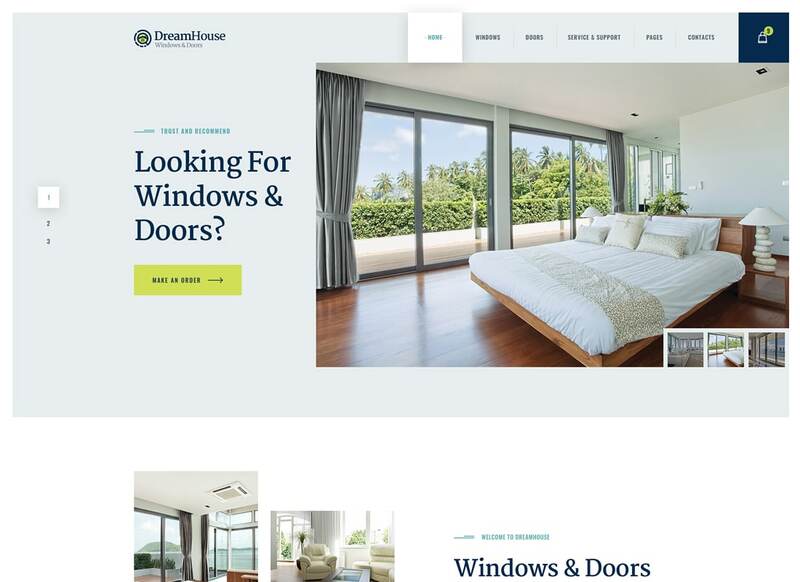 Here's the thing, its clean and attractive layout suits windows and doors company who want to become a major player on the market. Besides, your skill gap shouldn't be a barrier to achieving that goal. Thus, you can easily create extra layouts, build stunning galleries, and start a blog without having to hack into any coding. Even if you haven't sold a thing yet, WooCommerce integration is a superb answer for you. Isn't this specimen of house renovation and construction WordPress themes not worth the exploring? Blow your competitors out of the water with Palladio. 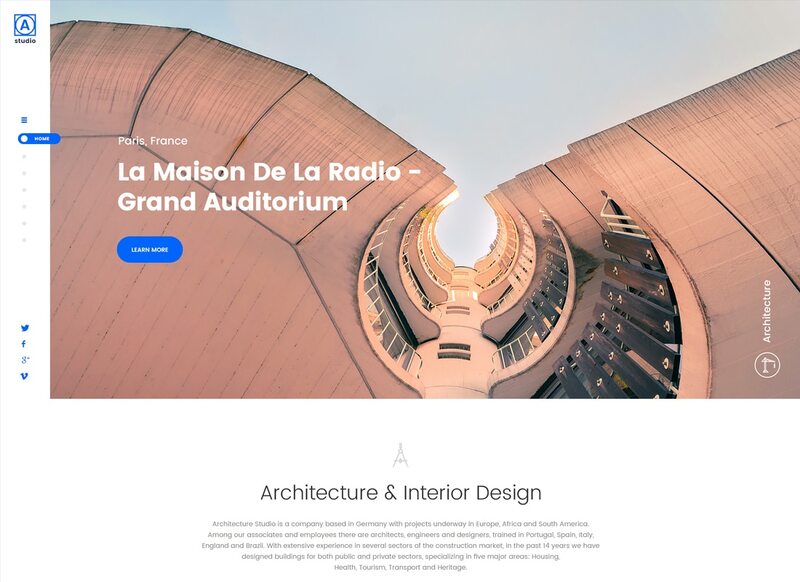 Awesome, clean and responsive, it fits design and architecture companies right off the bat. Thus, with a click of very few buttons, you can create and manage your site on a fly. Palladio is a great option for those who wish to hook up an effective website with less coding skills. Indeed, that's why the powerful WPBakery page builder comes included in the package. Compatibility with Essential Grid, WooCommerce and Visual Composer can give your business a leg up in the competition. Go give Palladio a try, it doesn't involve math. If you're serious about improving your brand identity, it's time to try ElectroServ. Flexible and functional design of ElectroServ fits for maintenance and repair web projects. No matter what service you provide - plumbing, renovation or electrical, multitude pre-designed pages can be a huge help. 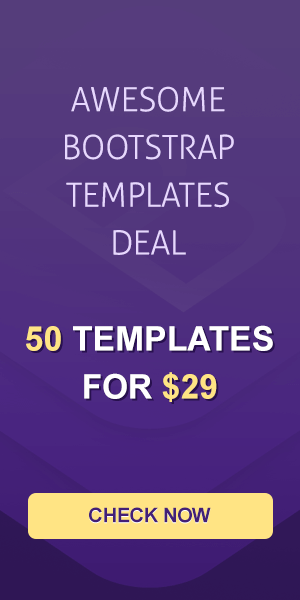 What's more, they can speed up your site-building process from day one. In case you need something special, try your hand at WPBakery page builder and get unique layouts in no time. Want to see how successful you can become? Introduce your business to the world and showcase what you’re capable of with ElectroServ. 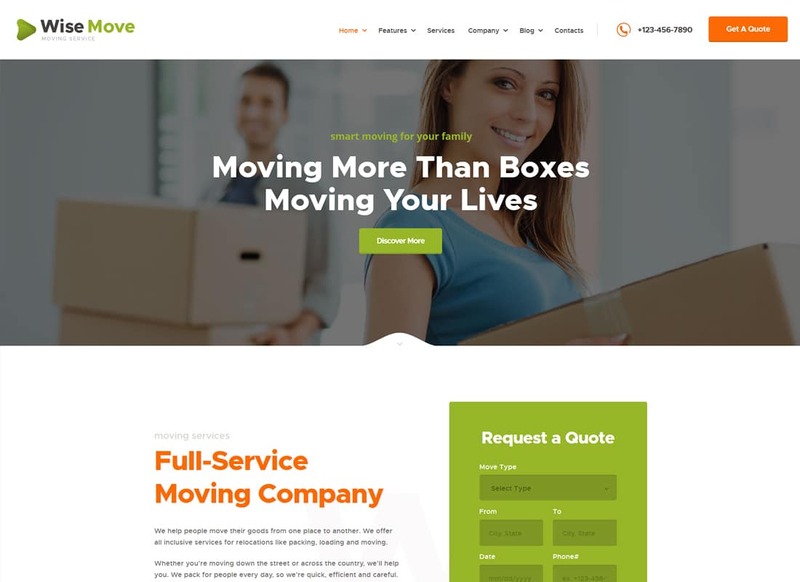 What does it take to build a modern website for a moving company? In fact, it costs you literally nothing. 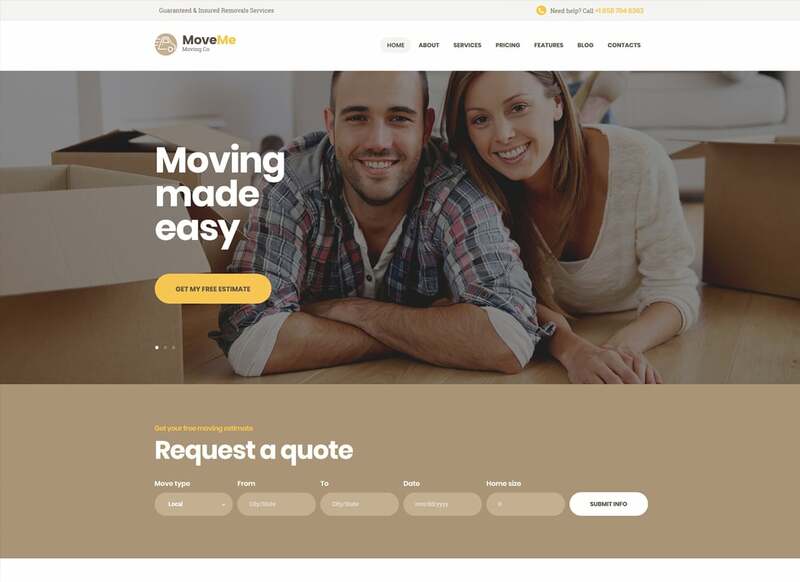 With MoveMe, you get the solution that can help you design a website tailored around your customers. What's more, you can not only showcase your offerings but also help solve problems your users face. Go ahead, enjoy its collection of beautiful homepage layouts, advanced blog settings and flexible colors to make a compelling case. Fear not to show that you dare to get outside of the box and create stunning galleries and post layouts to catch every user's eye. Enough sitting on the fence, MoveMe is the top dog. 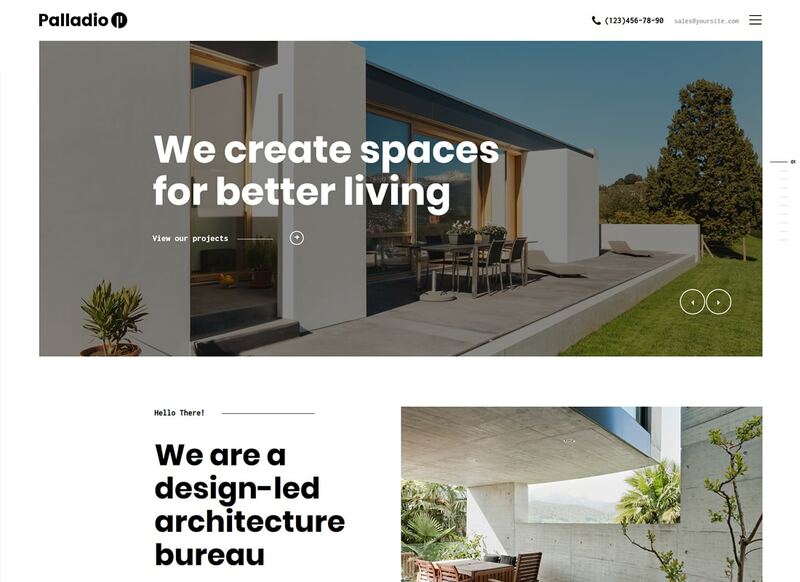 Corgan is a stylish specimen of house renovation and construction WordPress themes to check out. 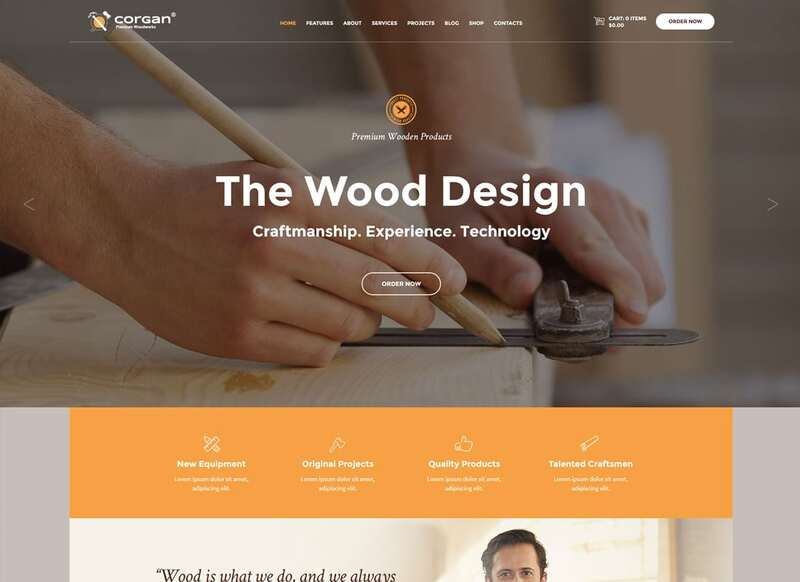 Designed especially for woodworks companies, Corgan comes with a beautiful and clean interface. Moreover, it can drive the viewer attention to an action that benefits your business. Do it right, customize it until you’re proud. Make any changes you need to keep bringing more customers to your business. Poke around its advanced features to build a product around your users. Showcase your awesome galleries and sell products and services with less coding skills. Besides, if you’re a newbie, you’ll see that getting creative with Corgan is not all that difficult. It’s a go time. Seize the opportunity to build a modern website with less coding skills. Present your pool maintenance services in a clever way. 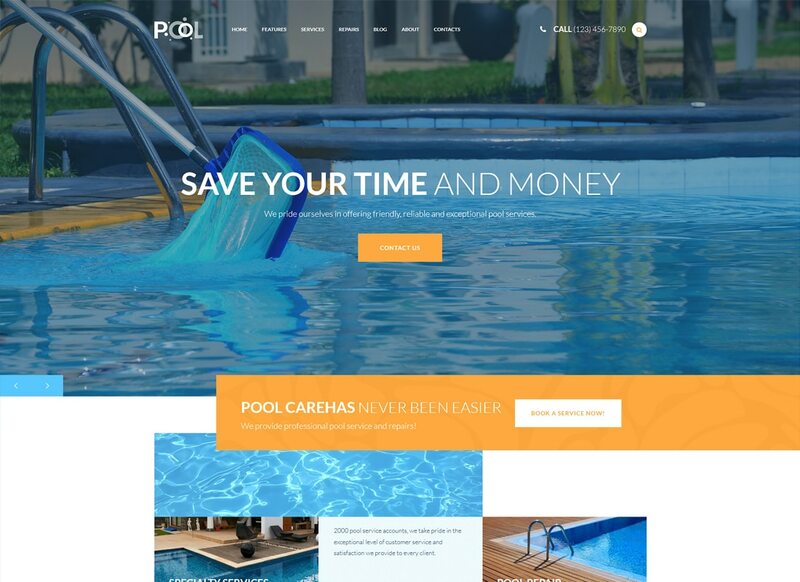 Stylish, fresh and responsive, Pool Services can keep your website fresh and up to date. Its clean and attractive layout looks awesome no matter what device the user is on. Also, it comes with appointment management, online booking functionality, and advanced Contact Forms. Indeed, it's easy to make your website look more personalized as a set of pre-designed pages comes to your aid. Besides, waste less time adding an online store functionality to your website. WooCommerce has done things very easy. Do you want your users to shop through your new collection of products? Once you go for BugsPatrol, your website can go live and kick within minutes. 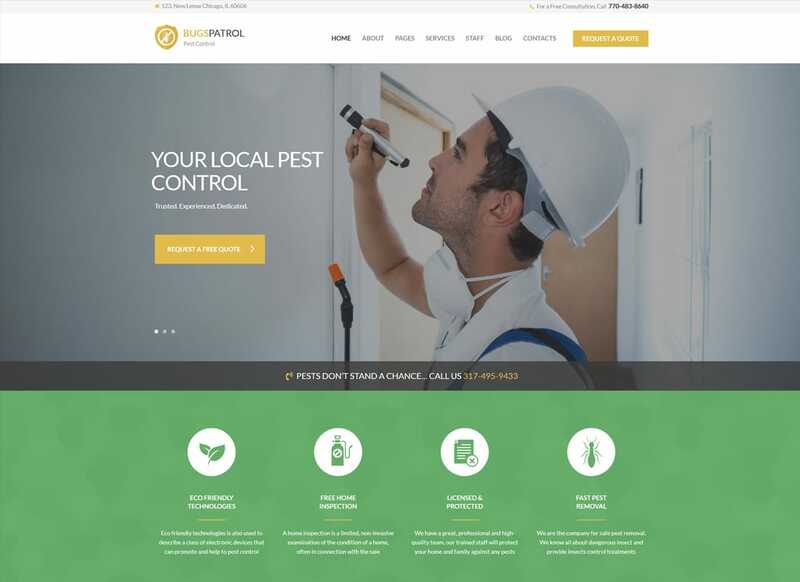 Designed especially for pest control websites, this WP template fits all other types of construction websites right off. It comes with robust functionality and eye-catching design that looks the same on any device. So, depending on your niche, you can manage your bookings, create advanced Contact Forms and sell your products and services in no time. Need more creative layouts? Go create them with WPBakery page builder right away. Bright, clean and attractive, Yoland fits landscape design studios right off the bat. 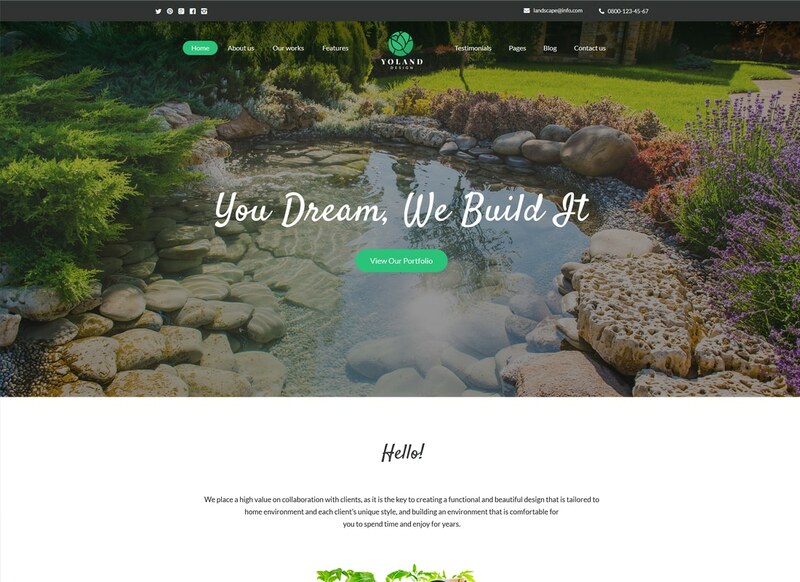 Being one of the best house renovation and construction WordPress themes, Yoland sticks out a mile. It fits any modern agency providing design and landscape construction services. Apart from that, it can make a huge difference in your success. It's easy to showcase your design portfolio and sell your products and services with less coding issues. Go choose between 3 beautiful homepage layouts to find the solution that fits right for your business. Give your website a bit of interactivity and vibe to grow your business. Are you in painting business? Need a solution that can put your best feet forward? Make no mistake and give ProRange a try. GDPR and Gutenberg ready, ProRange sticks from the rest house renovation and construction WordPress themes out there. 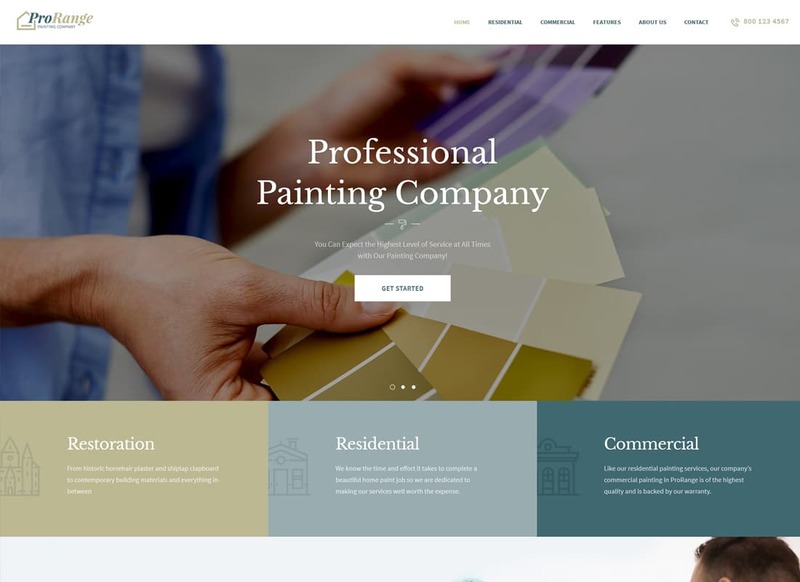 Designed especially for painting websites, it fits construction and architecture companies straight off. Edit and manage the theme without a headache of any coding. Besides, streamline your site-building process by making the best use of custom shortcodes. Tell your users all the bells & whistles of your brand and how it can help solve thor problems. At last, use advanced contact forms to effectively interact with your users. Well, finding the right solution for your business can be a pain. Give Anderson a go to build a website as good as it could be. Intended to serve the needs of construction building services, Anderson has a lot to offer. Apart from that, it fits plumbing, architecture, cleaning or remodeling businesses straight away. So, it comes with several beautiful homepage layouts, a set of pre-designed pages and shortcodes to ease your site-building pain big times. Besides, responsive and Retina ready, your website will look consistent no matter what type of device the user is on. Easy to use and WooCommerce ready, it's worth the trouble. Take a look for yourself. Want to build a fast-loading website? Then, give Fortunio a shot. GDPR and Gutenberg ready, it can keep your website fresh and up to date from day one. Besides, no matter how skilled you are, tons of advanced theme options can be a huge help. 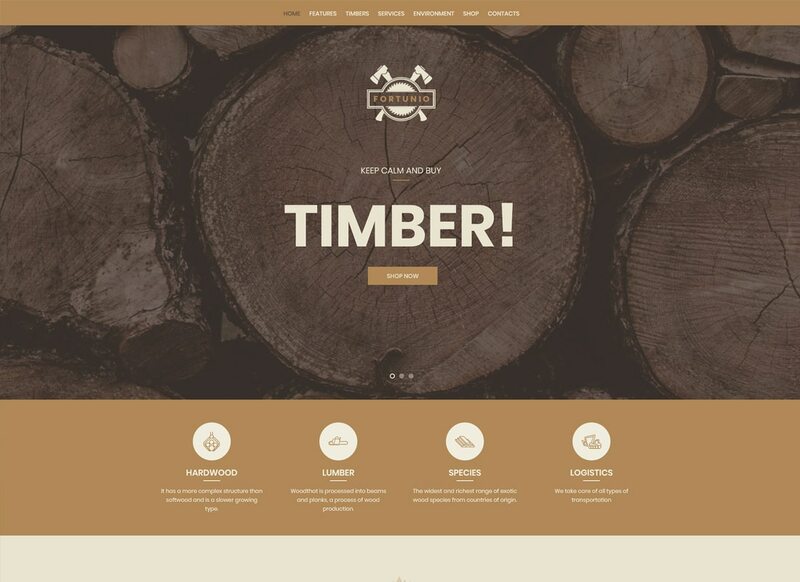 This specimen of house renovation and construction WordPress themes fits timbers, wood crafters and manufacturers from fact. Indeed, WooCommerce integration is one of its perks. Tons of advanced customization options and powerful theme settings can save you a bundle for sure. At last, optimized for speed, your website can affect the bottom line of your business. So, what's your choice? 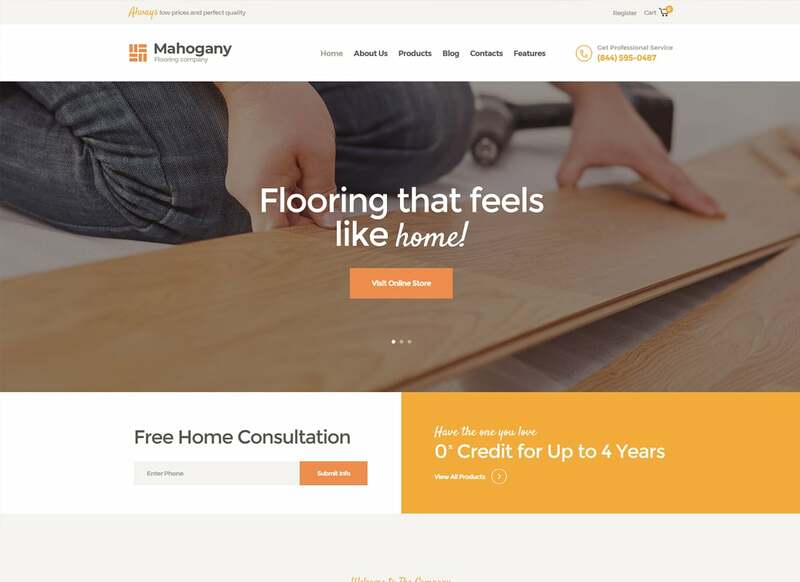 Try a quick and easy way to build a modern website for your flooring company. Mahogany comes with a wide arrange of customization tools necessary through the site-building. At the end of the day, you'll get a website that fits well into your business process. A whole lot of eCommerce options come jam-packed to maximize your online potential and profits from day one. Also, enjoy a variety of gallery layouts to showcase your works and projects in a more engaging and impressive way. Go start your own e-store that can be customized to your business branding in no time. You're a few clicks away from a modern website that can compete effectively. Puzzled over how to build a website with less coding skills? Take heart: CarpetServ can ease your pain on a go. Clean, attractive and responsive, your website will look awesomely no matter what and earn wide world popularity. It's perfect for a cleaning service company, maid service, janitorial company, and the like. Manage and edit CarpetServ without a headache of any coding. Indeed, compatibility with the Revolution Slider and Essential Grid can help you present your brand in a more clever way. Need to build more creative layouts? No problem, WPBakery page builder will come to your aid. Did we mention CarpetServ is SEO-friendly? 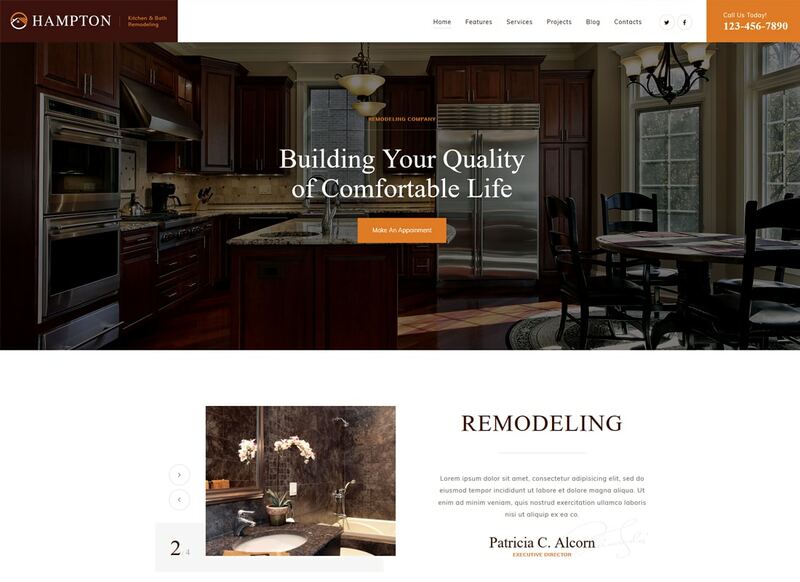 Here’s another specimen of house renovation and construction WordPress themes worth exploring. Designed for the swimming pool maintenance services, Bassein can help promote your business in an easy on the eye format. Its clean design fits cleaning agency, winterize bureau or pool disassembly service right off the bat. Develop your own ideas with a whole host of handy features that come jam-packed in Bassein. Moreover, even with a skill gap, it’s easy to design a website that will make your business a success. Lead your users through a customer buttery-smooth online experience to grow your business big times. Look nice, work nice. How do you feel about that? Bright, fresh and attractive, Buisson catches an eye. Designed for gardening services, Buisson fits best landscaping companies, exterior design agencies or flower growing firms. 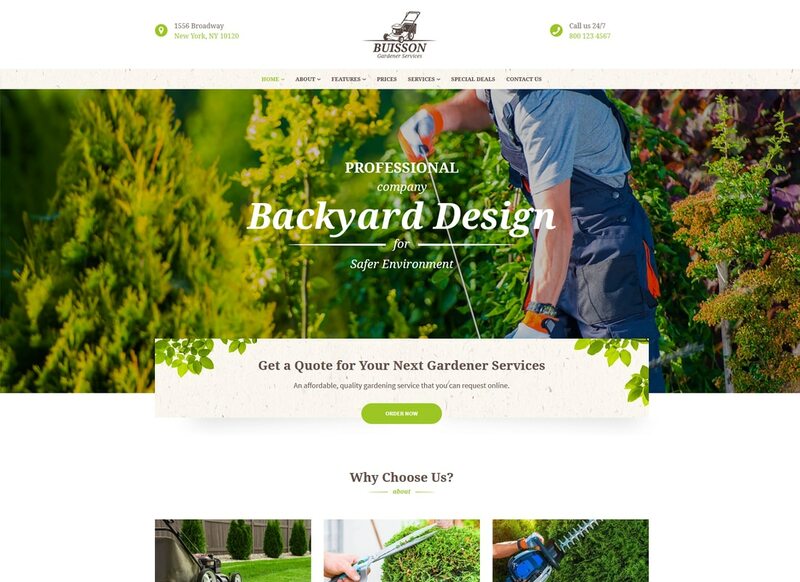 The best thing is that it's up to you how to customize the overall look of Buisson so it fits perfectly into your business. Go create extra layouts to make sure your website is as good as it could be. Spice up your site with ThemeREX Addons to ensure that the design of your website is effective in reaching your audience. Indeed, it sure is nice when you can add an online store functionality to your site without heaving to sweat for it.